Email cutouts to friends and family. Share the permalink on social media. 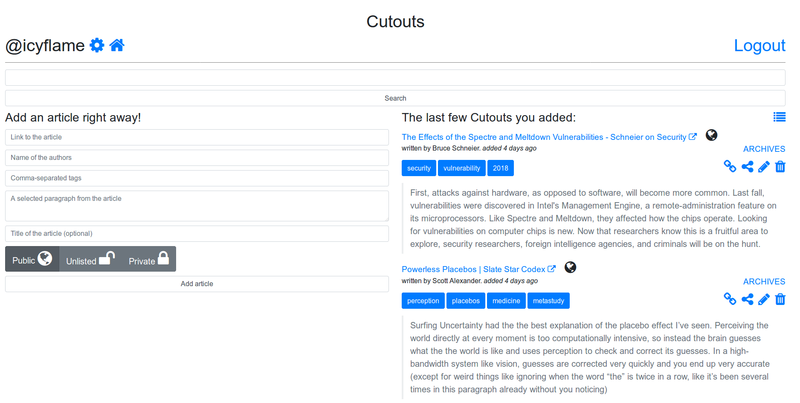 Tag cutouts and search them using search strings and tags! Sign up Login Check out the feed!